Consumer habits are changing. We are more health-conscious than we have ever been before. Clean eating, ethics-driven diets, and healthier beverages are replacing our meal choices of yesteryear. The beverage industry is undergoing some significant shifts, and those changes offer an interesting picture of future meals to come. One such exciting feature is the advent of specialty sodas. They came in quietly, but are growing fast, so much so that experts are calling them the next big disruptors in the field. Specialty sodas or craft sodas are an answer to the call for alternative beverages. Consumers want healthy options to replace the common, sugar-laden soft drink options. Scientists have been warning us for a long time, and we are finally listening. Beverage giants as such as Coca-Cola and Pepsi are feeling the heat as craft sodas grow more popular. They may have survived and even grown with competition over the years, but these specialty beverages' increasing market shares might well be their undoing. Craft sodas owe their rapid growth spurt to more than a call for healthier options. Consumers want quality products, and they want tasty options — two criteria for a sustainable habit. 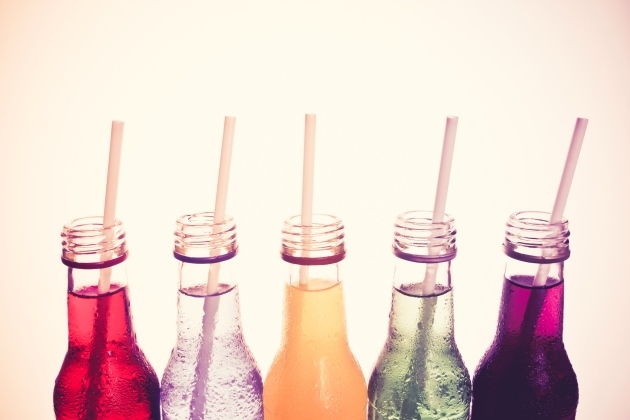 The new generation of soda drinkers also prefer specific ingredients due to ethical reasons. Along with sustainable sources, they want options like brown sugar alternatives. Craft soda grew quickly from 2011 and 2016 but then remained flat for the past two years. Now, the space is ready for some accelerated growth. Some companies, such as Reed’s Inc., are very active in this growing segment. The rising popularity and demand of these drinks have opened new opportunities for smaller operators. Restaurant chains, like BJ’s Restaurants and Bagger Dave’s, which offer crafted sodas, are poised for growth as well. Mass producers are feeling the threat, but they can ride this storm by producing their own premium drinks. They have a history with the consumers. With the right steps, they can generate higher margins. The study also took an in-depth look at the companies that are exposed to the new trend and how they are trying to benefit from it. Specialty drinks also include flavored water, which is increasing in popularity. Thanks to the absence of caffeine, artificial sweeteners, and flavor enhancers, it is now considered as a healthier alternative to soda drinks. Some detractors are doubtful about those health claims since information on sweeteners and nutritional enhancements is still not complete. But the overall trend shows a significant boost of sales for this segment of the beverage industry. Demand for flavored water has been growing since 2009, but it has skyrocketed in 2018. Many beverage companies have adopted this trend and invested in these products. Leading names to adopt this strategy include Del Monte Pacific Limited, True Drinks Holdings, SodaStream International, and Keurig Dr. Pepper. The most notable is National Beverage Corp. Its specialty drink, LaCroix sparkling water, has become a national phenomenon. With the health- and environment-conscious millennials leading the way, specialty sodas are all set to be the next big thing in beverages.